On the Sunday before Easter, Jesus instructed his disciples to go and find a donkey. They were tell the owner that the Lord had need of it. When they brought it to Jesus, He rode it into Jerusalem. The scene must have been moving. Jews from all over the region had returned to Jerusalem to celebrate the annual observance of the Passover. As Jesus rode in, they celebrated Him by praising Him and laying palm branches on the ground before Him. That’s how Palm Sunday got it’s name. 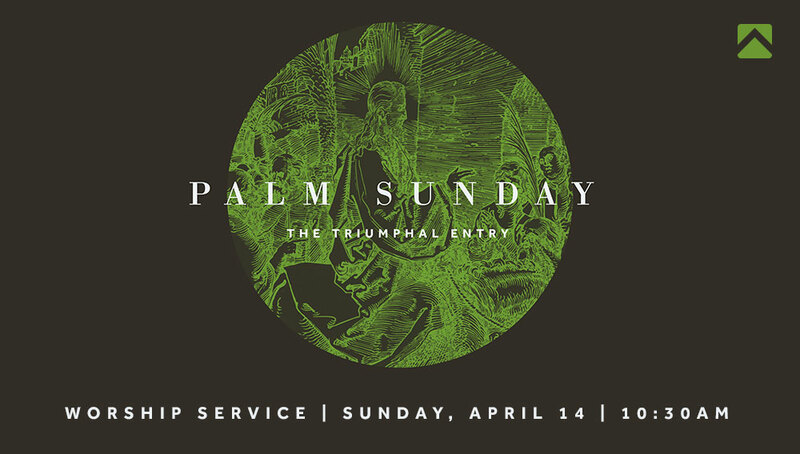 This year, we are celebrating Palm Sunday in a special way. Laying palms to prepare for His arrival. I hope you will join us as we seek to worship in reverence and in celebration. I hope you will see Jesus for who He really is, the Son of God that has taken away the sin of the world. Holy Week is a special time to remember what our lives are about. It is a time for reflection, remembering, mourning, and celebrating. Join us for each of our special services during Holy Week, but begin this Sunday as we celebrate our conquering King riding on a donkey, changing us forever.